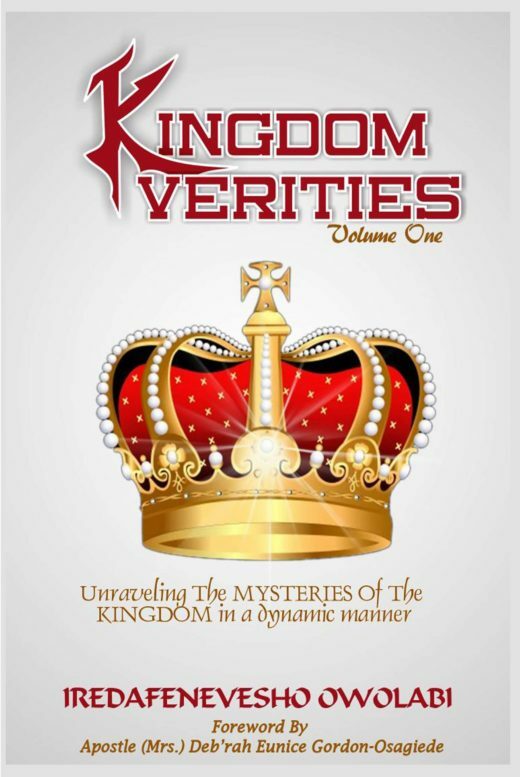 Kingdom Verities, Volume 1 by Iredafenevesho Owolabi is an analysis of the nature of the Kingdom, and those who call themselves citizens of it. Iredafenevesho Owolabi is a man sent from God with the message of the kingdom to this generation accompanied by the teaching and prophetic anointing. He is also know as the kingdom man. The literal meaning of his first name is “the kingdom of God has come into my house,” that was the name his parents christened him from birth even when he had no idea of his calling. He is called by God to “kingdomise” the minds of men for national and global “kingomocratisation.” He is a faithful member of the Spirit and Life Family Bible Church Worldwide where he serves as a Pastoring Youth Minister. He has a great passion for the kingdom of God and has already begun to contribute his own quota to the building up of the body of Christ on Earth. This book is a must read for anyone seeking to understand God’s kingdom and the privileges its citizens have here on earth. 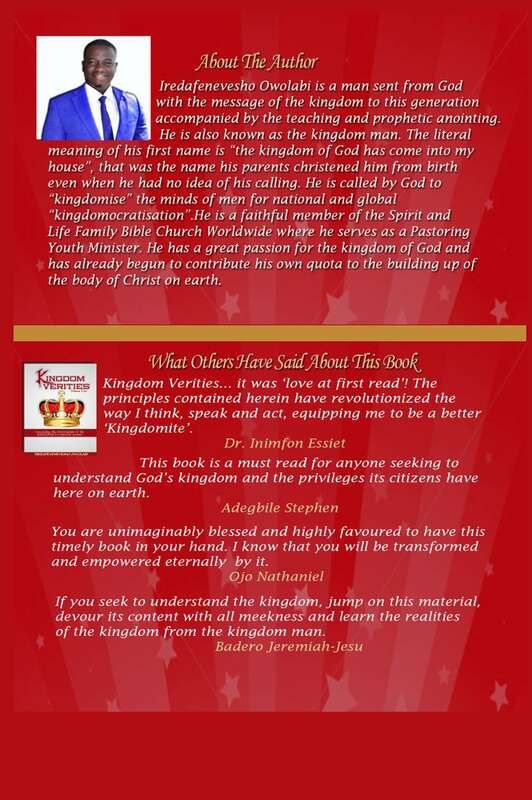 You are unimaginably blessed and highly favoured to have this timely book in your hand. I know that you will be transformed and empowered eternally by it. If you seek to understand the kingdom, jump on this material, devour its content with all meekness and learn the realities of the kingdom from the kingdom man.